To My Valentine ~ These flowers will brightly Bloom for Thee And birdie's sing In every tree If you will be My Pansy Sweet Valentine. Gibson begun as 'Gibson and Co' in 1850 in Cincinnati, Ohio. The company was started by a group of 4 brothers: Stephen, Robert, George and Samuel Gibson. They began as printers of stocks, stationary, bonds, etc on a French-made lithographic press. In the 1860s and 1870s they expanded to include the marketing of items made by others, such as the Currier and Ives chromolithographic prints that were very popular at the time. It was via this relationship with other printers that Gibson gets some credit for the first line of American mass produced Christmas cards. The cards were in fact the work of Boston-based printer Louis Prang. It may have been their great success at selling Prang's cards combined with Prang's retirement in the 1890s that inspired them to begin printing their own. Most sources put it around around 1908 or 1909 that Gibson begun working with artists and writers to create their own greeting cards (although our Bernhardt Wall card seen above carries an older version of their logo suggesting the association may possibly have begun earlier). Interestingly, I have found several sources around the internet that give this same time period, around 1908, as the founding of the Gibson company, which is incorrect. The company was then almost 60 years old. By the time of this change, Robert, who had become the sole owner after buying out his brothers in 1883, had passed on. His will directed that the company be incorporated as 'Gibson Art Company' and split into equal shares for his children. However, while he died in 1885, the incorporation with the name change did not happen until 1895. The company could possibly have been using 'Gibson Art Co' on their cards during that decade between Robert's death and incorporation, or could have been using the original 'Gibson and Co.' Or perhaps the G. A. Co logo (see above) was used during this time? This is unclear. I have not come across enough Gibson cards of this period to help elucidate this question. I would love to hear from any Gibson collectors who have any input on this somewhat confusing era of the company history and how cards were marked during that time. A Valentine for You ~St. Valentine's greetings with Best Wishes. Seen above is a card taking advantage of the popularity of Rose O'Neill's Kewpie characters. Gibson sold many cards with official O'Neill Kewpies, many of them signed by her, as well as several with look a-likes such as this. Over the years, Gibson worked with a great number of artists, some more well known than others. They expanded into gift wrap and other gift shop items and pursued licensing deals with a variety of other companies including Walt Disney Studios. Early on, they took Rose O'Neill's Kewpie characters to a wide audience, having great sales success with them. And also great sales success with cards mimicking her characters. Some of the cards with similar characters are marked as "after Rose O'Neill" others, like the one above, do not acknowledge O'Neill's influence. O'Neill's own work for Gibson appears to usually (always?) be signed. Gibson popularized the French fold cards invented by Rust Craft. The company excelled at recognizing trends and streamlining sales processes, growing to become the third largest American greeting card company behind only Hallmark and American Greetings. They hold patents on certain merchandising displays and created an automatic ordering system for merchants to identify and keep the most popular cards in stock more easily. This merchandising prowess kept Gibson humming year after year. I thought that in theft, dear You'd never take part But I have to arrest you For stealing my heart. In 1960, the company altered its name once again, now becoming 'Gibson Greeting Cards, Inc.' They then moved on to 'Gibson Greetings, Inc' in 1983 and kept that name until their purchase in 2000 by American Greetings. During the time in which they operated as Gibson Art Co (1895 - 1960), we can find other logos such as the Gibsons with number seen above. These probably provide clues to the dates of the cards, but as of yet I cannot say I have figured out the "code". Old Gibson cards with dates written on them by the customers who purchased them and the logos that appear on these dated cards can help make this clearer. As mentioned above, If you have such a card or cards we would love to hear from you. Please leave a comment (comments are moderated - oh the spam we have seen - we've even saved our favorite spam, though not posted it, as sometimes they can be comedy gold! - but we get to comments pretty quickly so don't be discouraged by not seeing your comment post right away). Hello, Valentine! No funny kind of poetry, No gushy, mushy verse! Gol darn it, Be My Valentine ~ You could do plenty worse! 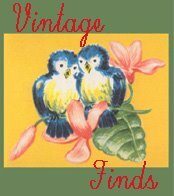 We have many more Gibson cards in our other categories. Enter 'Gibson' in the search box in the upper left to see them all. A Valentine to You From Me ~ Who likes you Lots? Well, you will know If you just read the name below. A Valentine Hint Maybe if you were a lil' more forward.. I'd be a little less backward.